After spending a week in international waters - the boat - carrying 87 people, including 12 minors, rescued near Libya, was permitted to make landfall in the port of Algeciras by Spanish Prime Minister Pedro Sanchez. 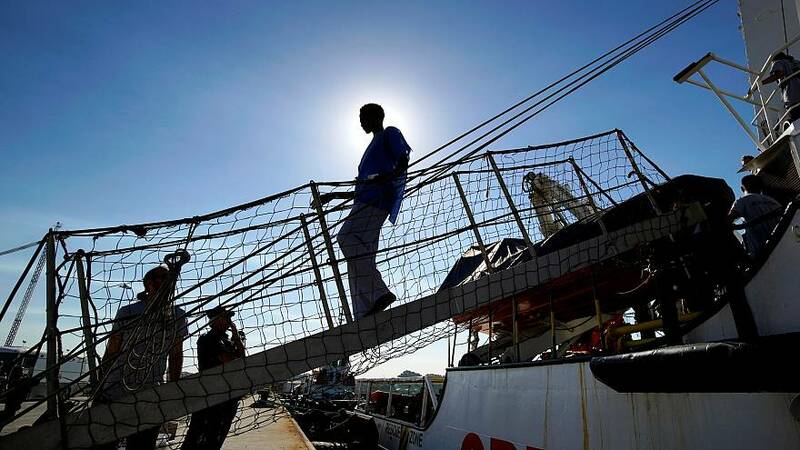 The French Presidency says it will take in around 20 of those on board the boat which, had previously been refused entry by both Malta and Italy. France says it is helping as a show of “European Solidarity” after Spain saw a huge increase in migrant arrivals since Prime Minister Sanchez accepted the rescue vessel Aquarius back in June. Aquarius lead to a diplomatic crisis across the EU as leaders jostled over the burden they faced by the migration crisis. Most notably southern European nations who felt they were taking the brunt of the new arrivals. Italy’s Interior Minister Matteo Salvini threatened to tear up EU unity by vetoing decisions made in a June summit on migration unless other EU states gave further assistance with people who arrived on Italian shores. Spain has taken almost 24,000 refugees and other migrants in this year – according to the U.N. Migration Agency. Those who have docked from the Open Arms vessel will now face an asylum application process which could take up to two years to complete. It is a laborious process which involves multiple interviews, medical examinations and identity checks where possible. Spanish Prime Minister Pedro Sanchez has previously announced plans for a Migrant Processing Centre in the port city of Algeciras to cope with the influx. The centre would be staffed by emergency services and security forces and will cost around €30 million. A group of French officials from will be coming to Spain in the coming days to begin examinations of individual cases before accepting asylum claims in France from yesterday’s arrivals.